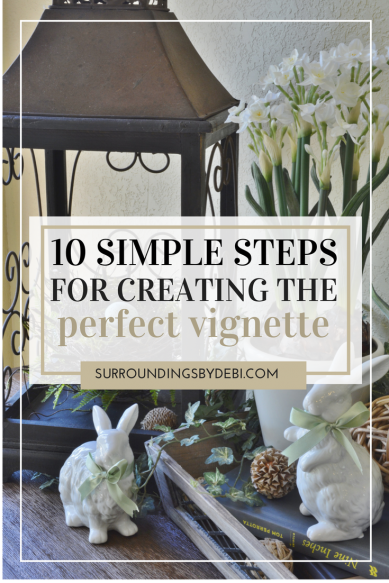 EASILY ADD DESIGNER PIZZAZZ TO YOUR HOME VIGNETTES WITH THESE 10 SIMPLE TIPS FOR CREATING THE PERFECT VIGNETTE. Trying to pull together her seasonal decor my friend stood surrounded by boxes from her storage room. “I’m no good at this.” she cried. I wanted to wrap my arms around her. Right then I could have grabbed up all of her items to start arranging her decor. 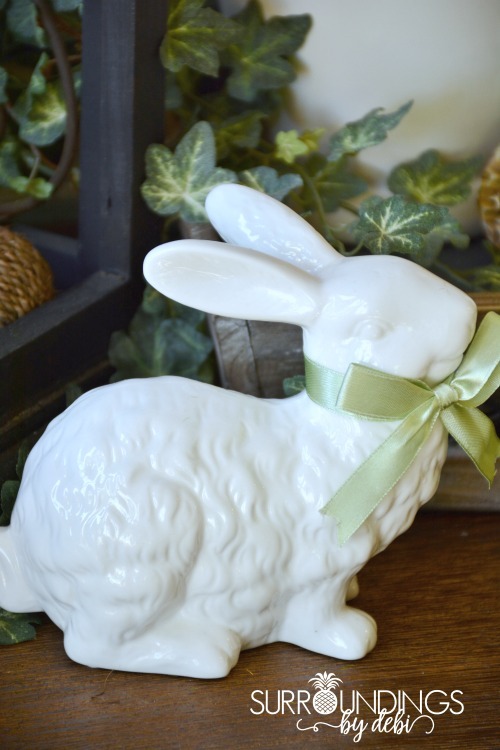 With my years of experience working in my gift shop, I had set up hundreds of seasonal vignettes. But that’s not what she needed. What she needed was something more. She needed to learn how to do it herself, To build confidence in her own abilities. And that I could help her with. So, what the heck is a vignette anyway? If you’re like many, you haven’t even heard the word before. A vignette is a brief but powerful scene. A good vignette leaves you wanting more. 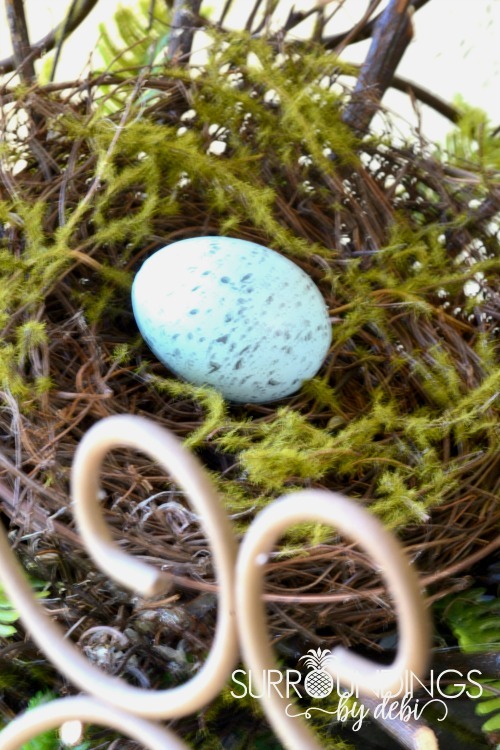 So let’s get started and create that special place in your home …. one that tells your story and will leave us wanting more! 1. Choose a theme. Will your theme revolve around a color? A season? A hobby? The style of your room? Any idea can be incorporated to create a unique vignette. 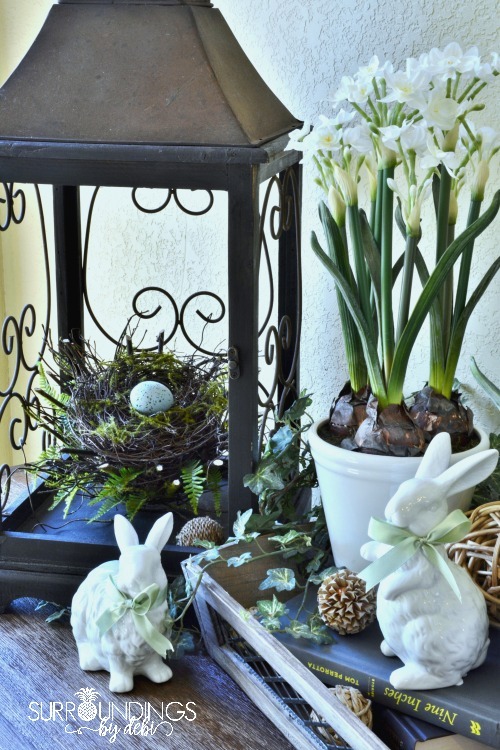 For this particular vignette, the theme I chose was spring. 2. Choose an anchor piece. Select an item that will anchor your vignette and serve as a focal point. Your focal point may be a favorite lamp, mirror or collector piece. 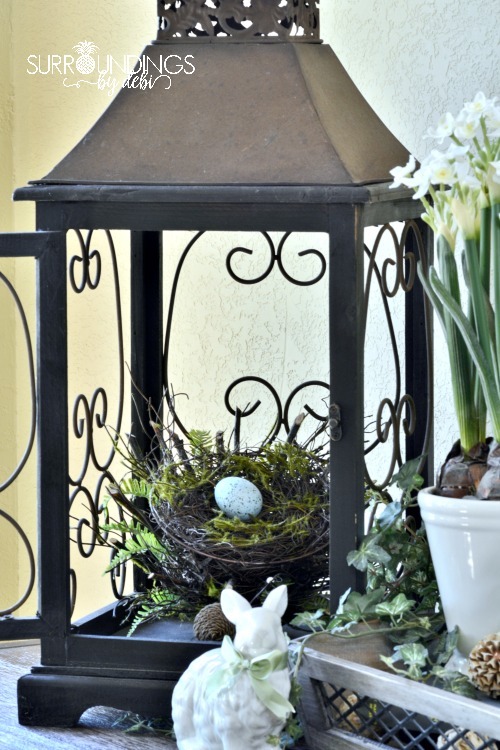 One of my favorite birdhouses anchors my spring vignette. 3. Shop your home. 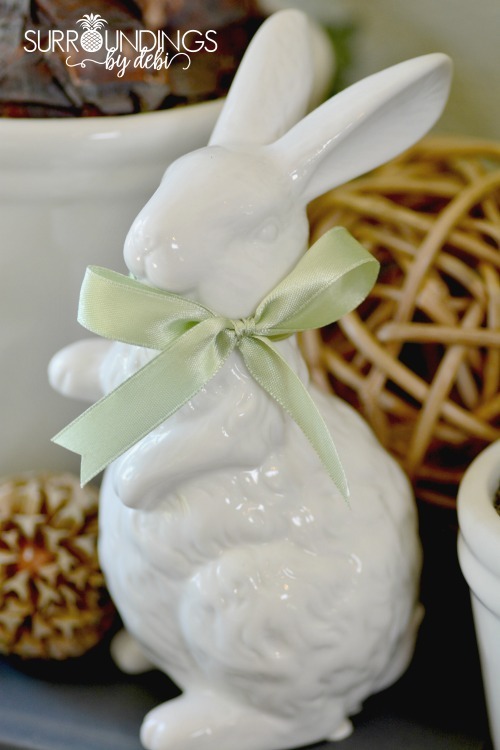 Find items in your home that will work to create your chosen theme. Don’t forget to check out those things you have tucked away in storage. 4. Use a container. If you are using several smaller items, use a tray or low basket to contain your items. 5. Create depth and interest. By working your items from back to front in layers or stacks, you can add interest to your vignette. 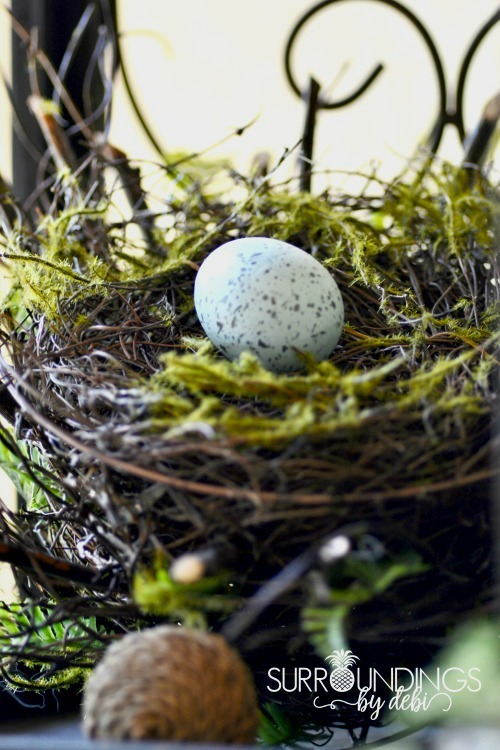 Placing the bird’s nest in the back of the display and adding the egg with a touch of blue your eye travels through this spring vignette. 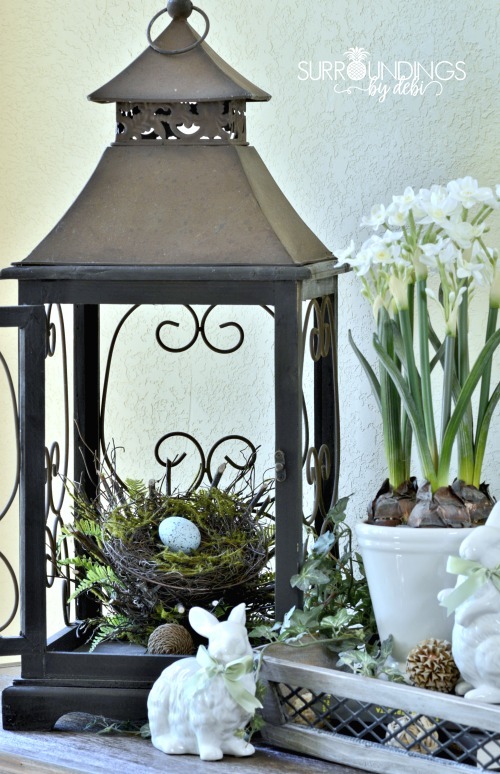 Displaying vignettes in your home will bring a special touch to any area. 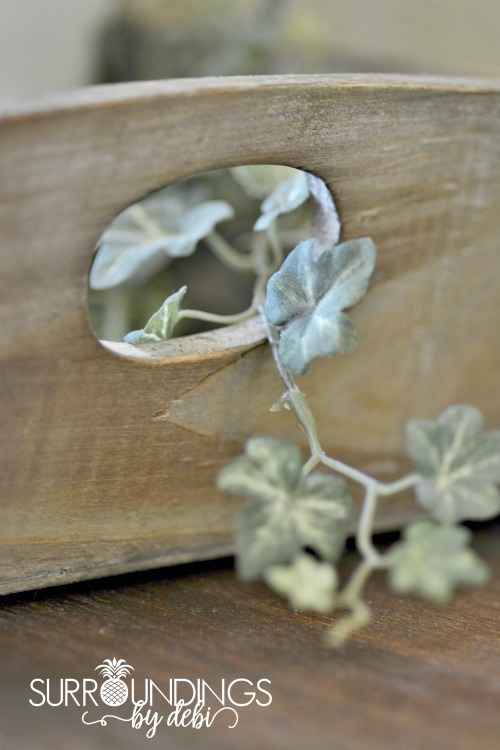 Here we’ve pulled some of the faux ivy accenting the vignette, through the handle of the tray to add even more interest and dimension. 6. 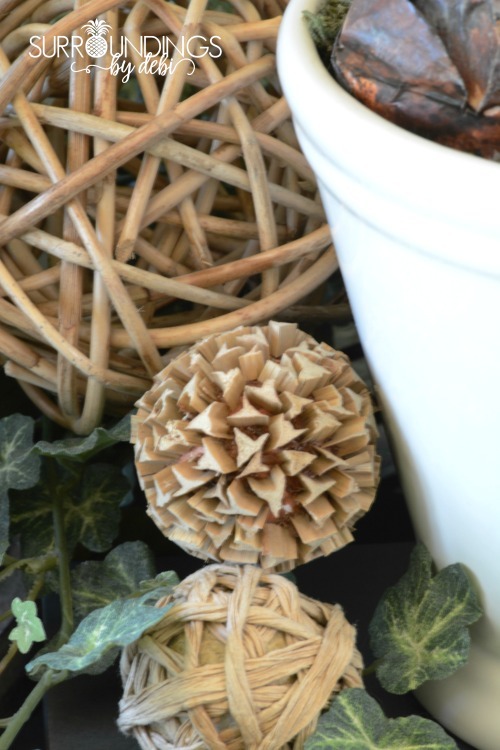 Vary the size and texture of your objects – Smooth, rough and natural looks combine to give visual appeal. 7. Use Books. Books are an excellent way to lift and vary the height of the items in the vignette. Candlesticks, baskets or stacked plates are just a few other items that might be used to add a variety of levels. 8. Add personal touches. Use items which have meaning to you or touch you on a personal level. 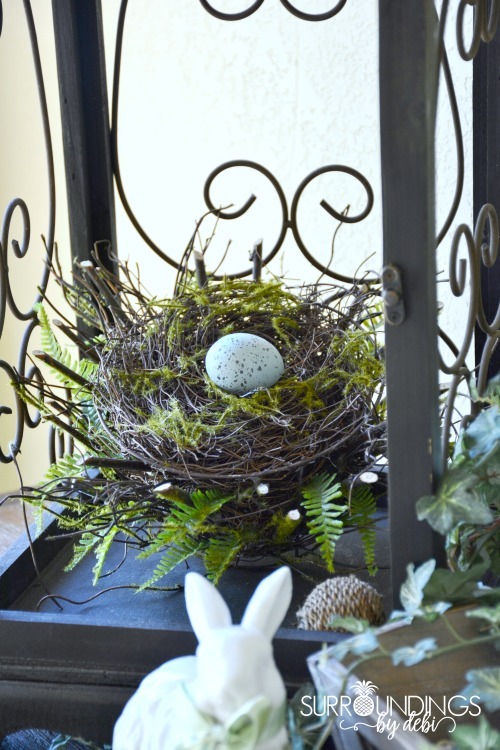 I love bird nests and bunnies and have incorporated both into this spring vignette. 9. Limit your color palette. Keep it simple by using similar tones and no more than 2 – 3 complimentary colors. 10. Don’t clutter your area. Step back, look, edit or delete. Do you need to move something to the left or right, forward or backward? Don’t be afraid to experiment. Changing out the vignettes in your home will help keep your area feeling fresh and new. 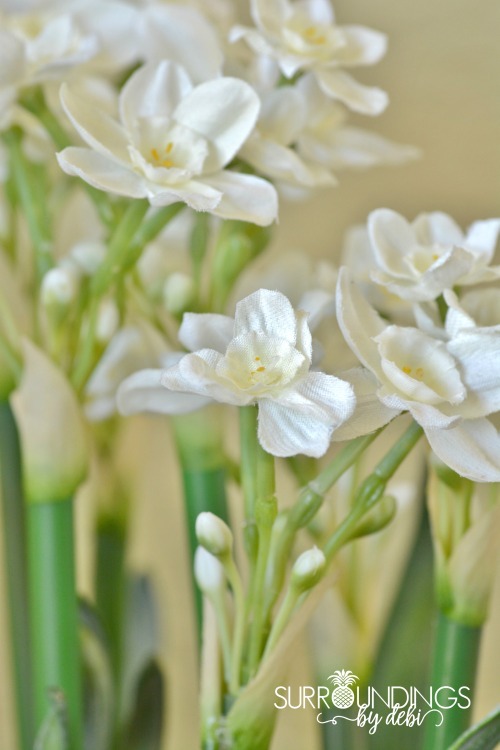 Above all remember – Vignettes aren’t permanent. Have fun! Allow yourself to be creative! It’s your home – make it all about you! What are your favorite styling tips? Will you be creating new looks in your spaces? I would love to hear about your favorite display ideas. Don’t even know where to begin? 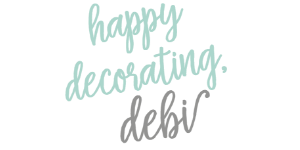 Start with a vision and a decorating plan that will help you get results! I invite you to share this on your Pinterest board and follow me HERE to see what I’m pinning and sharing! « Easy Peasy Shrimp Pasta – In a Ziploc Bag! Thank you, Wonderful creative advice, the kind I like. I enjoyed the article, Sincerly, Robin James-Fetzer. I love creating vignettes as well and always use books for height and dimension. I like to use very old books I find at yard sales or sometimes I cover the books using muted floral paper, old maps or sheet music. I think it’s another way to tie in some color and soften the vignette. I love your creativity Melissa. Books are so much fun to use and so easy as well. Sounds like you will be creating great vignettes! Thank you for stopping by Katherine. It is so good to see you here! These are great tips! Thank you so much for pulling them together and demonstrating them–you make it look really easy! Thanks so much for joining Grace at Home. I’m featuring you this week! You know I love your parties Richella. Thank you for the feature! I love these decorations! They’re so pretty! Thank you Erika! I love making these vignettes. Thanks for the great tips! I usually can put vignettes together pretty easliy, but once in awhile I get stumped. Thanks for the reminders and inspiration! Thank you for stopping by. I love your mother – daughter blog! Thanks Pamela! And thank you for hosting your great party! 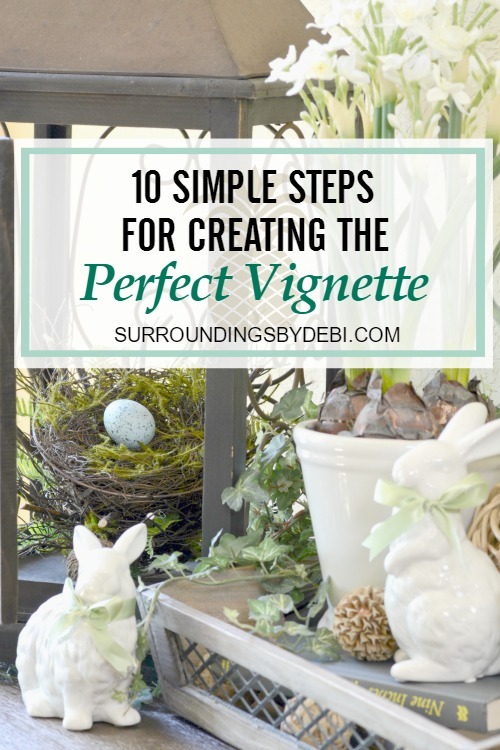 I have always loved vignettes and use several in my home…thanks for these tips…they really help…and thanks for being here on the Thursday Blog hop! 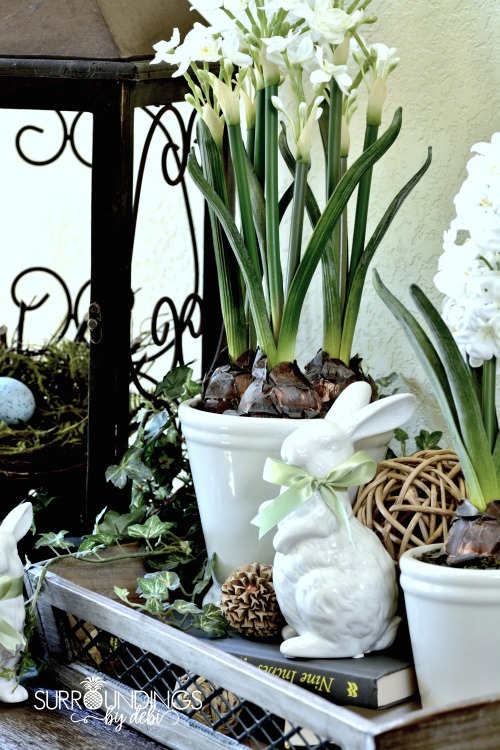 Hello, these are great tips and I love your spring vignette. I enjoy changing things out seasonally too. Sometimes I will buy one inexpensive piece to inspire a new theme. Other older, favorite things work over and over. Thanks for the inspiration! Thank you so much for your visit Michelle. Vignette are one of my favorite things to do. 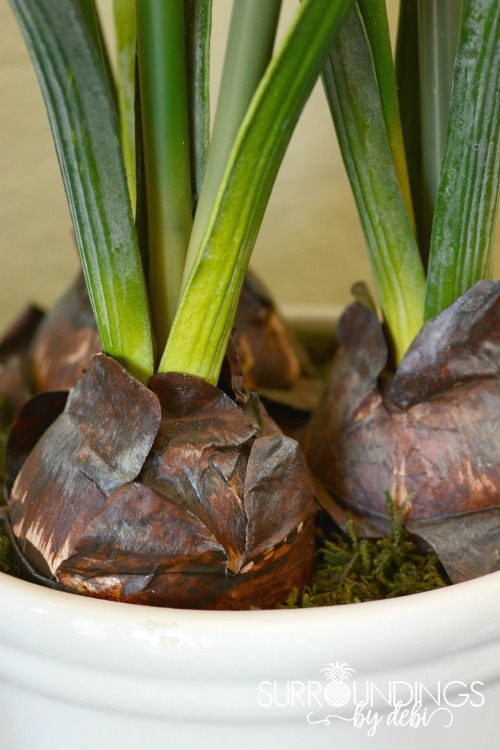 I’m always looking for ideas about how to refine arrangements in my home. These are all good tips. Thank you for sharing. Thank you Judith … and thanks for stopping by to visit! 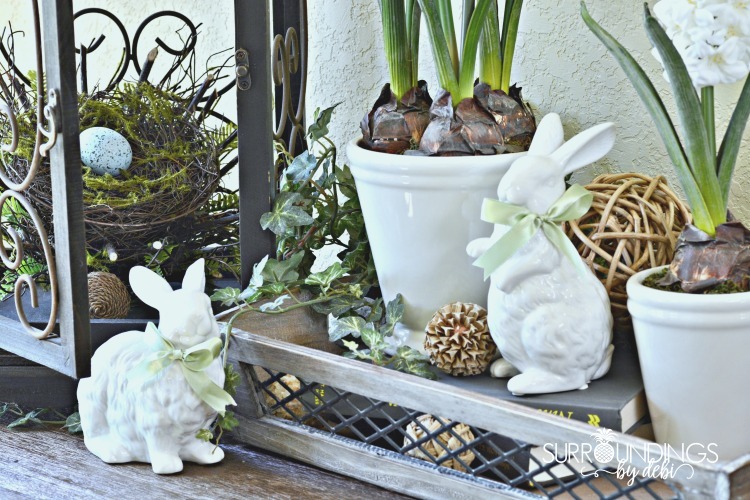 I love creating vignettes too! And I am always amazed at what I can find by shopping around my house! 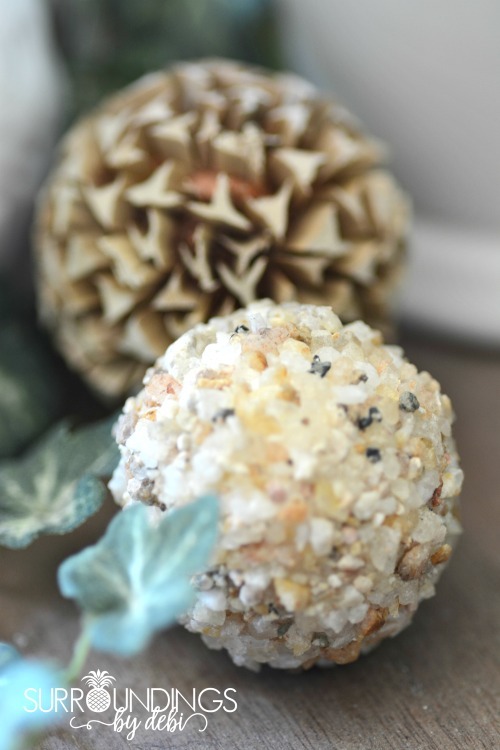 Trisha – I would love to have you visit us with one of your vignettes at our Thursday Favorite Things Blog Hop. Hope to see you there!